An eminent French historian journeys into the heart of Africa and returns with an unhappy report. The Great Lakes region of east-central Africa was for years “a paradise for colonizers, missionaries, and so-called development experts,” writes Chrétien (Centre Nationale de Recherches/Univ. of Paris). Little known to the outside world, it became a byword for an earthly hell when, in the late 20th century, Uganda, Rwanda, and Burundi all but disintegrated in ethnic genocide, in part the direct result of colonialism and of a racist anthropology that favored some tribes over others: “The preponderance of the Caucasian type has remained deeply marked among the Batutsi,” one ethnological report from as late as 1948 reads. “Their elevated height . . . the fineness of their traits, and their intelligent expression all contribute to their being worthy of the title that the explorers gave them: aristocratic Negroes.” Chrétien closely examines such colonialist ideas, the misguided practical actions of colonial administration, and their ultimately devastating effects; particularly in Rwanda and Burundi, he notes, Belgian and French rule deliberately cultivated ethnic division just as it “curbed every form of mobility, urbanization, modern association, criticism, and imagination”—as did, he adds, the independent states that followed. 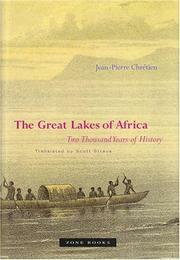 Writing more for specialist readers, Chrétien also criticizes the historiography of the region, taking issue with hypothesized “Bantu expansions” and “Hamitic invasions” while investigating what can reliably be said about the rise of kingly states before the European arrival, among other matters. Readers without a grounding in African history may find these discussions bewildering, but Chrétien brings clarity to the interpretation of recent events, especially when he lays ultimate responsibility for murder at the door of ruling elites that “did not know how to construct or reconstruct real nations from ancient and modern heritages,” and that instead were content to produce an ocean of blood. Mainly for scholars, although anyone with an interest in African affairs will benefit from this analysis.